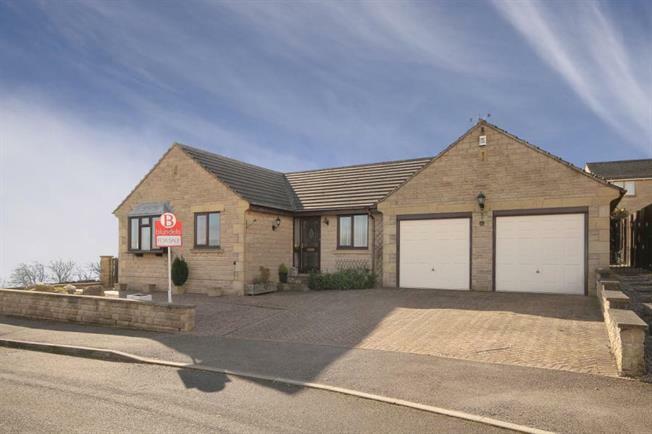 3 Bedroom Detached Bungalow For Sale in Sheffield for £365,000. A unique opportunity has arisen to acquire this three bedroomed detached Bungalow located in highly desirable Worrall Village with stunning views. Worrall is a sought after Village in the parish of Bradfield approximately 4 miles north west of Sheffield city centre, having local pubs and post office, public transport link and superb access into the picturesque surrounding countryside in Bradfield Dale and the Peak District beyond, Hillsborough golf club, Bradfield School and Oughtibridge Primary nearby. With further amenities in nearby Hillsborough including Supertram park and ride, Supermarkets and shopping centre. The accommodation comprises an L shaped entrance hallway. A spacious lounge with carpeting, decorative fireplace and window to the side offering truly stunning views. The dining room has wooden flooring with French doors to the hallway and patio doors to the Conservatory with a lovely aspect over the garden, Polycarbonate roof, wood effect flooring and doors to the patio and rear garden. The Breakfasting Kitchen has an excellent range of base and wall units in a Shaker style with Granite effect work surfacing, integrated oven and hob, freezer and dishwasher, tiled splash backs and window overlooking the garden. The Utility room has base units with plumbing for washing machine and dryer, tiled splash backs, rear window and side access door. The Master Bedroom has wooden flooring and a range of fitted wardrobes with bed recess and side cabinets and window to the front and door to the Ensuite having WC, wash basin and shower enclosure. Bedroom two is carpeted with window to the front and Bedroom Three is carpeted with fitted wardrobes and window to the front. The Bathroom has four piece suite comprising WC, wash basin, bidet and bath. An early viewing is an absolute must to take advantage of superb and rare opportunity.